Just a simple Jesus girl. So, I’ve been quiet on this forum for some time now. I’ve never addressed it here formally – and thank you to those who have continued to reach out in messages. I’m grateful that many of you continue to read old blogs and send messages of encouragement to keep writing. For those in faraway places who don’t know … My husband’s daughter – my stepdaughter, and our son-in-law were killed in a tragic car wreck on January 30, 2017. Our three, precious grandchildren lost their whole world that night. And I want to be clear … any pain my husband and I have felt can’t compare to theirs. In the days and months that’s followed, the enemy orchestrated chaos and our grief’s been complicated in ways that our family should have never experienced. A lot of loss has peppered our lives and it’s still hard to comprehend. So … I’ve been quiet – not because I didn’t have anything to say … but because I didn’t like how I sounded when sour words found their way onto pages and pages of countless journals. A lot of tears … a lot of honest prayers … and a lot of sleepless nights have come and gone over the last 16 months. We will never find a new normal because what our family experienced is flat out abnormal. It isn’t the natural order of living. The losses and pain hurled my way over the years have left me at times asking if this life is worth living? There have been moments that courage floundered and my faith shilly-shallied like a triple crown filly that’s thrown a shoe. The last year’s events have brought the realization that there are defining moments in our faith that will make us ask hard questions. Like when the unbearable happens and you almost feel like God let you down? Is there a line that God can cross in your relationship? That’s rattled around hard in my brain … cause all I’ve ever known is trying to seek Him out in an imperfect life. I naively existed as though faithfulness will keep me safe from the reality of life and death trials. I’ve wondered how in the world can the last year and a half of losses ever work for God’s glory like the verse in Romans 8:28 proclaims. I’ll be honest … I’ve asked the Lord if all this pain is worth the glory because from where I’m sitting … I just can’t see what good can come from it. And then after I repent of thinking thoughts that I recognize came from the enemy, I ask Him … am I living in a way that will make the loss worth God’s glory? I don’t want to mess that up. So many questions and not enough answers for a hard thinking girl that probably thinks too much. At the end of the day … the pain is only lessened by time, a lot of honest prayers and the word of God. That’s it. That’s all I got. Grief is a place where you put up or shut up so to speak. It’s where you find out if what you’ve practiced as a way of life is going to carry you through the darkness. Grief wrestling sure ain’t for the weak -pardon my Tennessee twang. As I studied word meanings and cultural explanations, verse 7 jumped out at me. The bible is full of people who would rend (tear) their clothes when great grief, pain, regret or even sin were a factor. We see this term a lot with those who mourn death. As I studied further … I learned that after a period of time, they sewed their robes back together. Not only did this signify that we are to move on from mourning in time … but it’s a beautiful picture of a tapestry of faithfulness … that God puts our hearts back together … just like the garment. The stitched-up tear reminds us of the pain … but also of the faithfulness of a Holy God to bring healing and hope again. I’ve found this truth very comforting of late. And if this scripture in Ecclesiastes signifies anything its that God made life to be a cycle of activities. Some of those activities are darn hard, while others are joyful. We may think sometimes that what He allows will kill us. But in each hard place that we experience … we find balance. God balances everything with time … joy … sadness … death and new life. He leaves nothing undone … ever. Grief has the makings of a great come back and restoration if we are willing to let God do with time and purpose what He wants to do in our lives. It’s a fierce buckling under a Holy God that allows the incredible pressure of heartache to melt and refine stubborn hearts. It’s hard. Just darn hard to learn from grief … but God deems it necessary to make us more like Him. That almost seems harsh … doesn’t it? But in truth … He knows what will make us better … kinder … more loving … more patient … more forgiving … more generous … more faithful … just more like him – period. God allows grief with a period of mourning to measure the good things in life and to learn from the bad. And we have to fight the enemy’s schemes for grief to take us to places that we can never recover from. Some days it feels like this time of grief will never be over … and then out of nowhere a day of pure joy will surprise us. We still have days of overwhelming sadness and it sure makes this old girl tired. But the one thing I have come to believe with all my heart is … grief and all of its questions have to lead us to faith … because faith is where the hope is. If there’s no faith … you got no hope to heal, restore, or find a purpose out of the pain. So, I’m going to keep digging a hole in my bible … and refuse feelings that want to bury me in acrimony. I don’t want to be bitter at the losses or those who have inflicted our family with their bitterness. I don’t want to let the losses and pain of life entomb me … because then I will be useless for the kingdom. I’m not going to lie … it’s a daily struggle … but I know this … I have to press on in doing the right thing even if I don’t feel like it because God is in the process. And as long as He’s here with me in this process and I’m honest with Him … the weeds of sorrow will eventually be pulled out and I’ll relish in the beauty of new growth. Lord, Help us run to you in our deepest griefs for a shelter of protection from the enemy’s attempts to break us. Help us believe you are in the process and in the mourning. Give us faith … give us hope … and help us endure until you turn our mourning into dancing. Amen. Remember … broken hearts run to Jesus. Everywhere I’ve been this week I see Christmas decorations. In the stores, in yards, and even Facebook is splattered with pictures of Christmas trees going up. As much as I love Christmas, I couldn’t find it in me to take down my fall mantle. It has a set of broken pilgrims that stand tall and proud. If you shake the mantle … the male pilgrim’s top half will topple over, making him look like he’s been sawn in half by a magician. I know … I need to superglue this universal symbol of gratitude together but somehow … I feel led to leave him broken. He reminds me of how I feel sometimes … broken … but still showing up and taking my place as God would have me do. I purposely don’t want to forget the raw places that keep me close to God. I may whine at times … but the truth is … I need to see and be reminded of how desperately I need God. Just as I write these words to you today … I sit here in mismatched pajamas … Indian style on my bed. My bible is laid open to Psalms 71 (a new favorite), there are about 10 used up tissues scattered about because I have a vicious cold. The heating pad is on my lower back at the moment because I landed in the doctor’s office yesterday, doubled over with intense pain. It seems I have a rather angry kidney/urinary tract infection because God gave me two urethras. What a blessing right? I’m miserable, physically, head to toe on this special day … but yet I am most thankful. In my younger days, I am ashamed to say that I couldn’t always find gratefulness when life wasn’t all sunshine. Is there a situation in your life today that is swallowing up the goodness of God? Are you wondering this morning how you were dealt the cards you are playing with? Are you confused at how God allows the good and the bad … even from difficult people … into your life? Yes, our infinite God allows places in life that we don’t understand … but HE is ever understanding about our plight. Unfortunately, some of these difficult places we find ourselves in is of our own making … yet some are trials. God wants us to learn the truths of His faithfulness through our mistakes and the trials … but sometimes we choose to check out on God in the middle of the test. Sometimes we are walking through the wilderness and we decide to camp out for a while. Bitterness, anger, and depression often stall us. Just like the children of Israel, we can complain, blame God or someone else … but the truth of the matter is … we are responsible for checking out on God. We are the ones who take our eyes off God and put them on self. Trust me … I know. I’ve done it too many times in years past. So today on this Thanksgiving day … I challenge you to take your eyes off of what it is that’s stealing your peace. Shift your focus … if only for an hour … to our faithful God who wants you to see Him today. Make a list of the good things in your life. Then make a list of how HE has been faithful to you in the past. I challenge you to spend some time in prayer thanking Him for all good in your life, past and present. It’s time to shut down camp and move on. We can choose to wallow in our circumstances or we can be grateful for what “is” good in our lives. It’s simply an attitude adjustment my friends … one that replaces misery … with a faith in the one who created you and knows all about you. So what is your “everything” dear one? Will you get alone with God and figure it out today? You might just be surprised at what He shows you. Happy Thanksgiving my friends. May you see our loving God through all of your circumstances today! Change can turn our world upside down if we’re not careful. Trust me, I know. There was a time in my life when God allowed change to become my normal. I fought it tooth and nail just like an unruly toddler. But looking back I can see God’s hands were lovingly moving all the pieces of my life around … and it was for my good. Today I am humbled to once again share a part of my journey in a guest post over at (In)courage. If you are not familiar with this beautiful place where women connect and share their hearts then today is your lucky day! Founded in 2009 by DaySpring, the Christian products subsidiary of Hallmark Cards, (in)courage is a vibrant community where thousands of women have gathered since then to connect, share stories, and spread encouragement. I promise you will love this place to connect with others and our God … this site has certainly been a beacon of light for me in recent years. But don’t forget to click over right here and read more about the year that God totally changed my world … for my good and His glory. Change is messy my friends … but our Heavenly Father knows that change can bring us closer to Him if we will let it. The waves lapped the shore as we sat side by side on the sand. Sitting with my first born, we were soaking up the beauty of the ocean. All defenses were down as he relaxed in the sun and became the brilliant, talkative boy I remember. 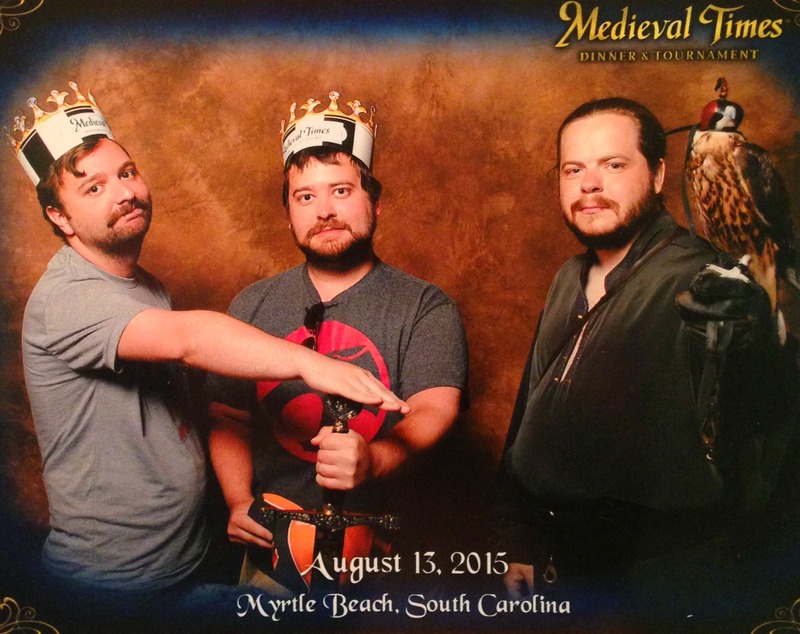 He and his brother were excited to have tickets to a medieval dinner show later that evening. We found ourselves in a sweet conversation that I’ll treasure forever. It started with the subject of knights and their noble causes. As he talked … I realized boys big and small, want to live out nobility. To have a cause gives purpose. He continued to tell me about Roman history, naming his favorite emperors and historic battles. And then he mentioned Constantine and the significance of the cross that was put on the soldier’s shields … taking me all the way back to the crusades. His eyes danced as he relayed historic and symbolic meanings of Christianity. Joy swelled in my heart. When sons and daughters grow up, taking their own paths, it’s a sweet blessing when they confess what we taught. I struggled through the years with letting go and trusting God with my boy’s future: But in all my mistakes as a well-meaning mom, I see a hairy, man boy who isn’t perfect, but he gets what it’s all about and deeply believes his faith is worth defending. 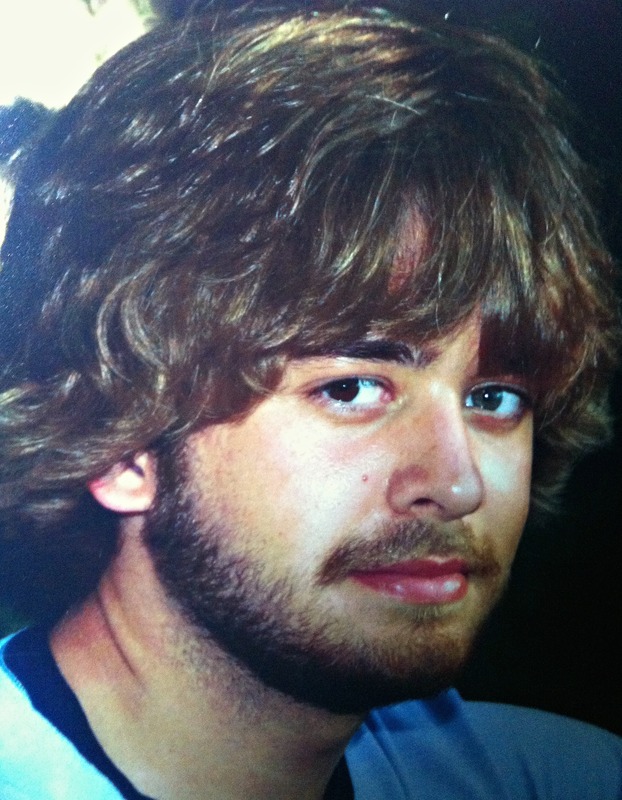 I smile and remember the time he got a perm because he wanted hair like the knight, “Arthur” in the 2004 movie. “Girls like curls” he said with a mischievous grin. The qualities of a noble knight are loyalty, generosity and chivalry … and my boy gets all these right. He is loyal to a fault, generous till it hurts, and he defends the weak fearlessly. He works in the medical field and is so compassionate that his patients fight over him. For all his human frailties … my boy has some mighty noble qualities. I will forever cherish those two hours with my son that day. I saw him as a man … and not my little boy. Too often we take this parenting thing too personal. 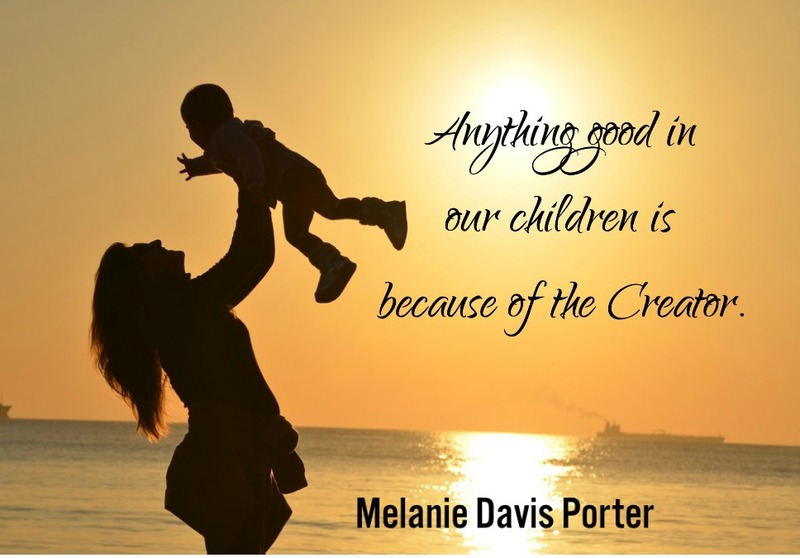 We think our kids are a reflection of us … when they do good … and when they mess up. But that’s just pride, because any good thing in our children is because of the Creator. And even when they make a bad choice, it doesn’t mean we didn’t do our job as a parent. How very true. So lighten up moms, our sons and daughters have to live and learn. Our job is to keep pointing them to JESUS. 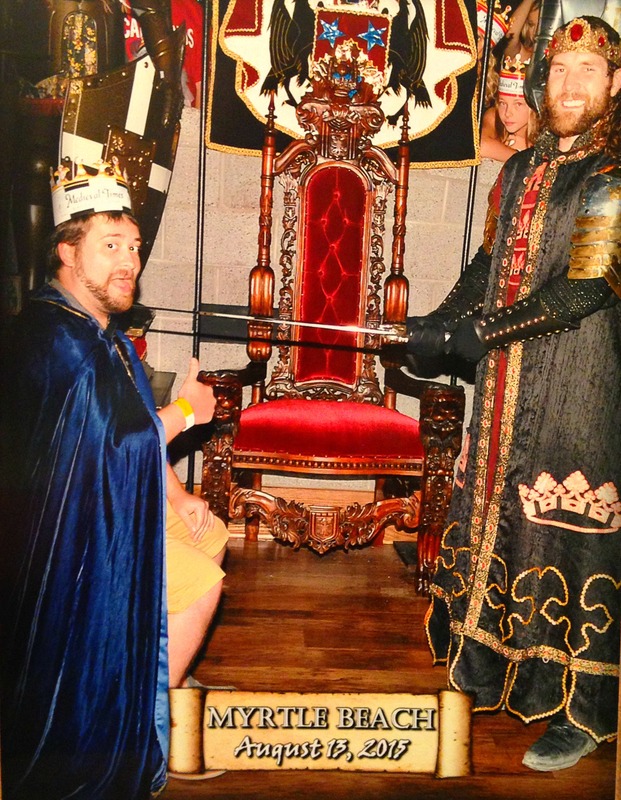 And so as he knelt for the ceremony, the Lord of the Manor “dubbed” Sir James Matthew Porter, a knight, and proclaimed to the masses that he was granted all the rights and privileges of a noble man … “Because being a knight is awesome.” He giggles like a little girl when we talk about it. So moms, embrace everything about your kids, big and small, quirky, normal, good and bad. Feed their dreams, guide them through their messes and celebrate their victories. Take every opportunity to view into their souls … because I promise, you will cherish it forever. Wrap them in your prayers but leave their future to their creator. And most important … give them unconditional love … just as our Heavenly Father gives us. So on this October day 2016, I celebrate my noble son’s 30th birthday. Happy birthday Sir Matthew. You are precious in my sight … as well as your Heavenly Father’s. Gosh how I love you son! Yes, Aaron humored his big brother.